HMD Global has quietly reduced the price of Nokia 7.1 in India today. The smartphone was launched in India in November last year and back then, it cost Rs 19,999. However, now its price on Nokia‘s eShop has been listed as Rs 17,999, reflecting a reduction of Rs 2,000 in cost. In addition to this, the smartphone’s listing on Flipkart and Amazon India also show the revised pricing of the handset. According to the update in the listing of the Nokia 7.1 smartphone on the official Nokia eShop, the handset is now available for purchase at Rs 17,999 in India. And as we mentioned earlier, Nokia 7.1 is also listed on Flipkart and Amazon India at the same price. At the time of its launch, the Nokia smartphone was priced at Rs 19,999. As of now, there is no official statement from Nokia about the price cut, so we don’t know if it for a limited period or a permanent one. 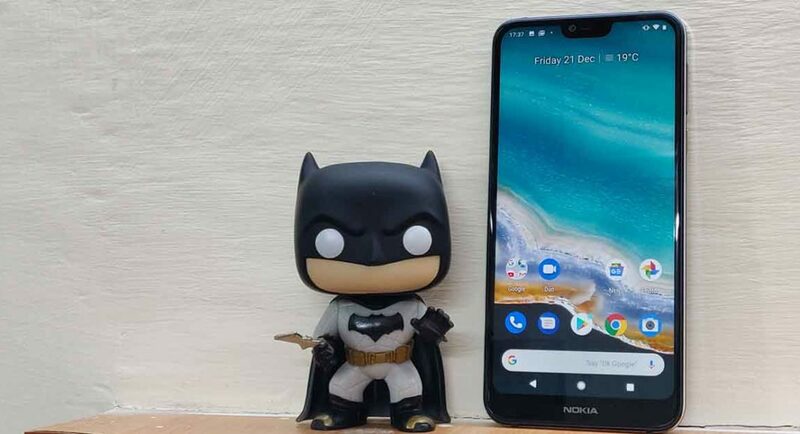 The Nokia 7.1 smartphone has support for dual SIM cards and runs Android 8.1 Oreo, which is soon expected to get an update to Android 9.0 Pie. The smartphone has a 5.84-inch full-HD+ PureDisplay panel that comes with an aspect ratio of 19:9. The screen of the device has support for HD10 and is protected with a layer of Corning Gorilla Glass 3. Powered by Qualcomm Snapdragon 636 processor, Nokia 7.1 comes with 4GB of RAM and 64GB of internal storage. The handset can also hold a microSD card of up to 400GB. For imaging duties, the Nokia 7.1 smartphone comes with a dual rear camera setup that comprises of a 12MP primary sensor with an f/1.8 aperture coupled with a 5MP secondary sensor with an f/2.4 aperture. The device comes with an 8MP sensor with an f/2.0 aperture and 84-degree of field-of-view that can be used for selfies and video calls. Nokia 7.1 handset houses a 3,060mAh battery and comes with 4G LTE, Wi-Fi, Bluetooth v5.0, GPS, GLONASS, NFC, USB Type-C, and a 3.5mm headphone jack for connectivity. The sensors of the device include an accelerometer, ambient light sensor, electronic compass, gyroscope, proximity sensor, and a fingerprint sensor that is placed on the smartphone’s back panel.